How to Make Your Shopping Easy With Samsung Galaxy S9 Wallet Case? When you go shopping, you need a lot of miscellaneous items to carry with you. These items can easily be misplaced or lost. Here, we want to share how the Caseme Samsung S9 Wallet Case can help you make your shopping much easier:-. 1. Just open the Caseme Samsung Galaxy S9 Wallet Case to see all of the features. You will see many sections that you can use to store different items. 2. Within the zippered coin pouch and currency pocket, you can store your loose change and small currency. 3. 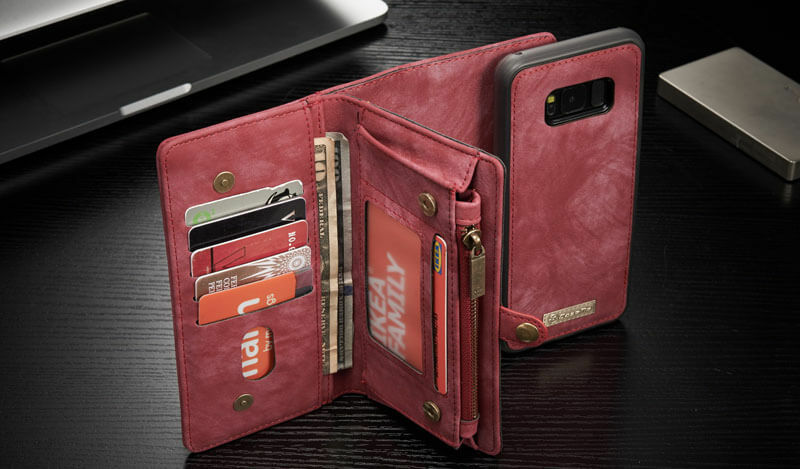 You can find the ID and credit card slots located within this Samsung Galaxy S9 Wallet Case. You can carry all of these things in one safe location utilizing the case. 4. The accessory pocket located on the outside of the case is a great place to put your mobile phone, including other accessories that you may need while shopping. 6. It offers a more professional look and has many modish features. 7. You can have everything you need for a magnificent shopping with this Samsung Galaxy S9 Wallet Case. 8. For those who are looking for a convenient wallet during traveling, this revolutionary Samsung S9 Plus wallet case is the best choice. It has been designed with the purpose of offering maximum convenience for professionals with the need for regular travels. During travelling, the missing of wallets is largely reported, and this wallet case has been designed to prevent such issues from occurring again. You can keep all of your essential documents such as mobile phone and Bluetooth accessories conveniently in your wallet. It has sufficient space for storing all of your items.